We are pleased to offer White Widow XTRM Feminized cannabis seeds as their genetics are amazing! The result is the best genetics and a very high yield per plant. This is one of the most popular products out there, but you must be careful about where you buy it. Too often, seeds banks are offering poor quality products and you pay the price for it. 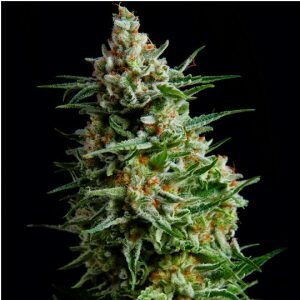 White Widow XTRM Feminized seeds have won more awards that any of the other more than 100 strains of cannabis seeds that we offer. While it is more expensive than some of the others, it is a good investment. Your plants are going to be easy to grow and you are going to be impressed with the results. White Widow XTRM Feminized marijuana seeds aren’t recommended for those new to using cannabis. It is very strong so it is best to be used by someone with some experience using such products. Since these cannabis seeds can grow in just about any soil and in any conditions, it is very hard not to do well with them. The buds are going to be completely covered with resin when it is time to harvest. The buds are sturdy and they are able to hold the product with ease. The taste is amazing and so is the smell! When you buy White Widow XTRM Feminized seeds from us, you will have a great product in a short amount of time. You will be able to count on these cannabis seeds to offer you a crop you are quite pleased with. Keep in mind, you only need to use a small amount of it to get a wonderful high!